Pop Pop Chimney Boats. Group of three. 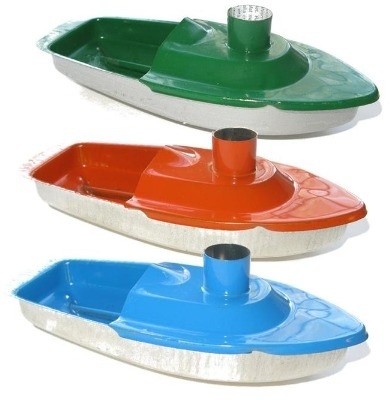 3 Chimney Pop Pop Boats, Special Offer. Special Offer. 3 Boats to race with each other. A very popular model in three different colours - Smoke will flow from the chimney when this model has been running for a while. Each boat includes Fuel Tray, Candles, Priming Dropper and full Instructions. The Chimney Boat will also run using olive oil and a piece of candle wick. Full instructions supplied. A mix of three colours will be sent. Sorry, we cannot send specific colours.